950mm Facial Tissue Jumbo Paper Machine is to produce kraft liner, flute liner, test liner. Gram range is 13-30gsm, Paper width 950mm. 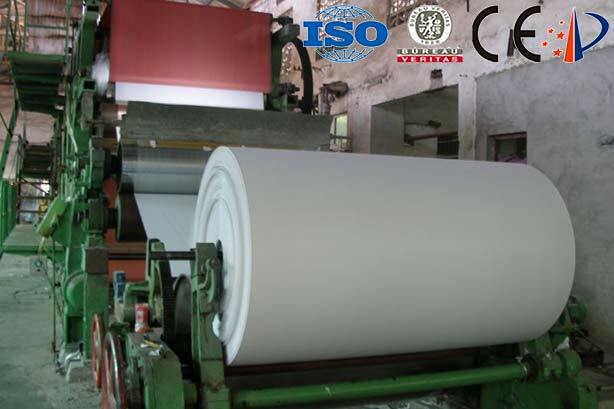 This Tissue Paper Machinery has the advantages of superior quality, good performance and high efficient. The finished paper roll can be toilet paper roll, napkin paper, handkerchief paper, kitchen paper, etc. Leizhan is a professional manufacturer of Facial Tissue Jumbo Paper Machine. If you are interested in any of our products, please feel free to contact us for further details.